Find our useful air duct and dryer vent cleaning tips to learn how to maintain fresh air in your home. Discover how to take precautions before you engage in ductwork cleaning and why it's important to inspect air ducts well beforehand. Our professionals in Moorpark remind all homeowners to follow the "safety precautions procedure" before getting started on cleaning their ducts. Don’t forget to turn the system off before getting to business, and make sure that you have the right tools to do the job. If not, contact a professional to make sure you will not be touching something you shouldn't. Always inspect your ducts before and after the cleaning process. Gauge the amount of dirt stuck in the ducts’ surface, then see if there is any left after cleaning. This is important for you in order to get the best perspective on how successful (or not) your cleaning procedure was. Depending on the condition of the duct, you may need more than your vacuum cleaner to get the job done. HVAC units at home are barely noticed by homeowners until they break down or show signs of defect. The defect of the equipment can often be summarized in one word: neglect. 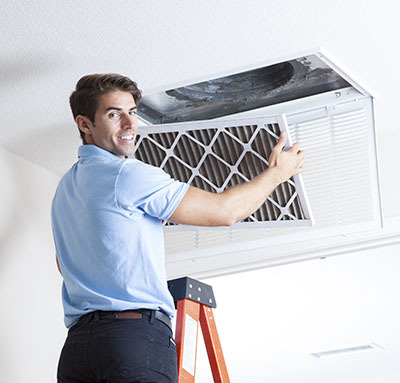 Our experts say that the HVAC units are among the top priorities of home care and maintenance. They are the vessels that ensure the quality of the air you breathe and we can all agree that clean air is more than essential for healthier living. 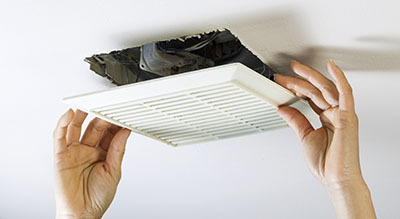 Dirty and unchanged air filters prevent air ducts from doing their jobs properly. Change your air filters regularly and consider switching from disposable air filters to washable ones, as they are more cost effective. Our experts suggest filters with MERV ratings that are ten and above as they are proven to allow fewer dust particles, pathogens, and debris into your home. Close the registers in the rooms where the repairs take place rightly. You can also cover them with plastic sheets and tape the sides so that the seal is perfect. 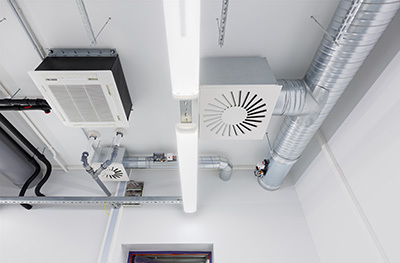 Remember that you should not stop your HVAC system from running during the project. In fact, it is best to keep the registers in all areas where there are no repairs fully open.